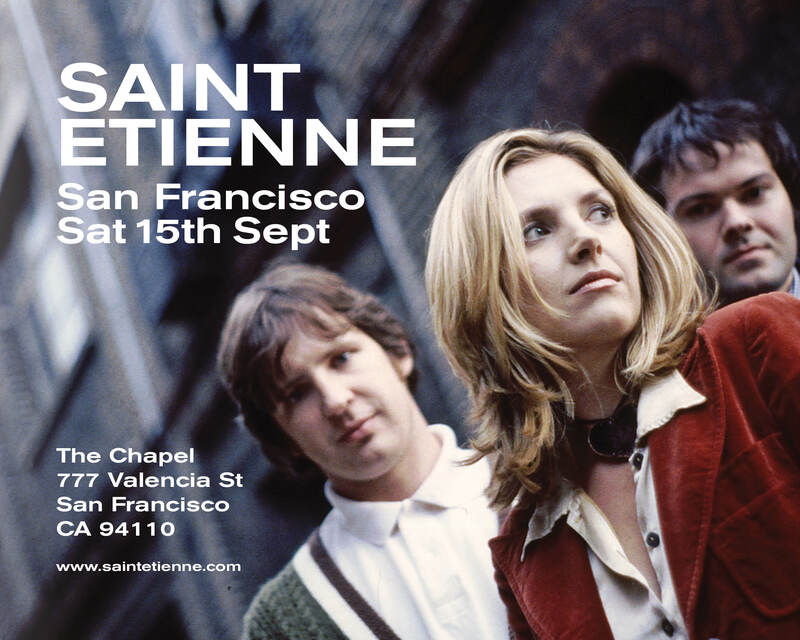 Saint Etienne celebrate 20 years of ‘Good Humor’ in San Francisco! The band will perform ‘Good Humor’ in it’s entirety followed by a set of hits, misses and fan favourites. There will be a new song or two plus some super exclusive items of (music related) merchandise available.